This book is the first to incorporate current academic literature and case law on European, transnational, and international media law into a comprehensive overview intended primarily for students. 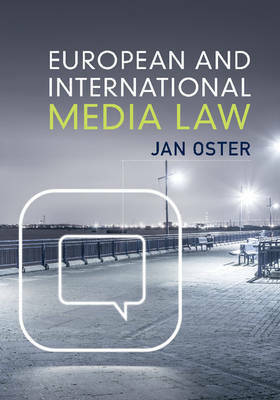 It introduces the legal framework for globalised communication via mass media, and considers the transformative effect globalisation has had on domestic media law. Engaging case examples at the beginning of each chapter, and questions at the end, give students a clearer idea of legal problems and encourage them to think critically. A wide variety of topics - including media economics, media technology, and social norms concerning media publications - are discussed in relation to media law, and numerous references to case law and suggestions for further reading allow students to conduct independent research easily.